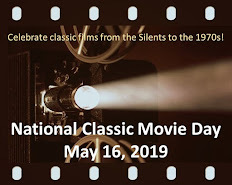 To celebrate this day devoted to classic movies from the silents to the 1970s, we're hosting the 5 Movies on an Island Blogathon. As it name implies, the intent is for participants to write about the five classic movies they'd want to have with them if stranded on a deserted island. (Yes, you can assume the island has electricity, a projector, big screen, and popcorn!) These choices might be one's all-time five favorite movies or a mix of some comfort films desired to give one's tropical habitat that desired "homey feel." Thus, the selections have been wonderfully varied so far, ranging from the haunting 1973 Spanish film Spirit of the Beehive to Hitchcock's celebrated North By Northwest. The 32 participating blogs (with links) are listed below. If the blog's title appears in blue, then the blogger's 5 Movies post has been published. We hope you can check back with us throughout the day and read each blogger's selections! 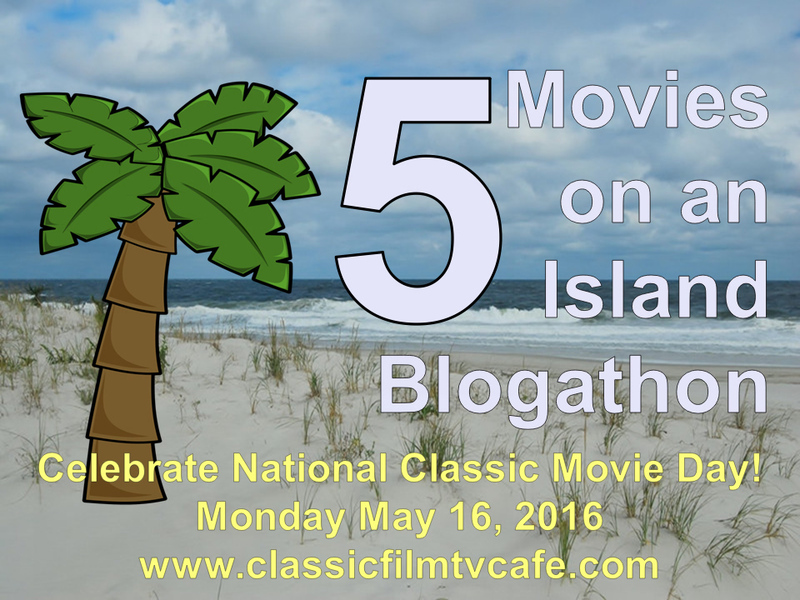 Thanks for hosting such a fun blogathon again this year! Hey Rick. Here's my entry. Thanks for hosting. 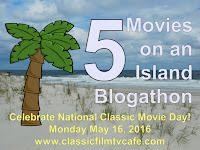 https://wolffianclassicmoviesdigest.wordpress.com/2016/05/16/5-movies-on-an-island-to-watch/ wonderful idea. i choose five noirs to watch for today. We're late again! THanks for hosting this Rick. It's a great idea, and it really got me to thinking about which films I could watch repeatedly. Rick - this was such a fantastic idea! You're probably sick of me saying that, but it's such fun to see how everyone came up with his/her choices. They're both quality lists, but I think this is the better of the two. THE GHOST AND MRS. MUIR is one of my favorite romances of all-time. THE THING is first-rate sci fi and HOLD THAT GHOST is one of A&C's best. I saw the very funny ARSENIC AND OLD LACE on someone else's list. THE GREAT ESCAPE is a hugely entertaining pick. 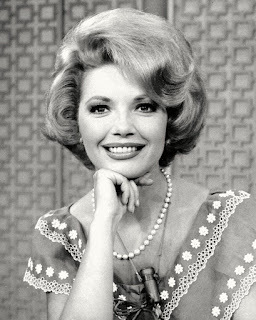 And MY FAVORITE BRUNETTE is among Bob's best. Isn't it the one with the truth serum scene? --a Billy Wilder film is a "must have" so I pick "Some Like it Hot"